Sometime around 2010, I become a tutor of last resort. 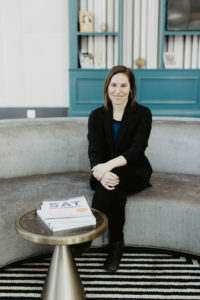 Every spring and summer, a handful of rising seniors would predictably arrive on my doorstep with a hangdog expression, having suffered through a year’s worth of test prep with little or even nothing to show for it. Some had taken a class (or two) at a national chain; others had worked with a tutor (or two) at a high-end company. Their parents had already paid hundreds — sometimes thousands — of dollars and wore an expression of barely concealed panic. Although the students were usually convinced that they were doomed to failure, I almost always managed to help them raise their scores just enough to get them in the range at their target colleges. If they applied early, they’d have a chance. “If only we’d found you sooner,” their parents lamented. When I quizzed them on basic information, I was often met with a blank stare or a flat-out admission that they had never covered it. And when I asked to see their notes, I was greeted with incoherent jumble of prescriptions that covered rules in only their most general forms (cross out the stuff between the subject and the verb!) and left students to figure out all the details. These were bright kids who attended very good schools, but it was pretty obvious why their scores weren’t improving. I started seeing students like this at around the same time it occurred to me that the pages of grammar explanations and exercises I was slowly accumulating might eventually be turned into a book. The more students I worked with, the more I realized that what students really needed for standardized tests was a curriculum—a coherent, cumulative, curriculum that would teach them everything they needed to know, in a step-by-step, foolproof way, from bottom to top. A curriculum in which things were explained so clearly that motivated students, even ones whose first language wasn’t English, could sit down and learn everything they needed to know, without the help of a tutor. I wanted to take the mystery out of standardized tests. Every last bit. That became my guiding principle as I worked on what became The Ultimate Guide to SAT Grammar, and then as I eventually wrote my other SAT and ACT books. As someone who had earned a degree in French and spent a number of years teaching foreign languages to native English-speakers and English to ESL students, I knew what it meant to explain concepts piece by piece, taking care to define every term so that students at any level could follow along. I firmly believe that when students are given the tools necessary to achieve their goals, there is no reason for the standardized testing process to be overwhelming. In fact, it can offer an opportunity for students to shore up important reading, writing, and problem-solving skills that will serve them in college and beyond. We hope you will let us help make the college application process a little less stressful.